IBISWorld reports that the Australian hotel industry has shown steady growth over the past five years, due in part to a rise in visitors from the Asia-Pacific region, particularly China. In fact, the number of Chinese visitors soared 22% year on year in 2016. Australia’s relative proximity to the world’s fastest-growing region certainly stands the hotel sector in good stead. Other factors behind the sector’s rude health include a rise in domestic business travel, the primary income stream for many hotels in the central business districts of Sydney, Melbourne, Brisbane, Perth and other major conurbations. But this sector is not without its headwinds – notably the rising popularity of serviced apartments and Airbnb, seen as a cheaper alternative to hotels and motels by millennials in particular. The rise of Airbnb has been phenomenal: in just 10 years, the company has grown into a US$31bn global brand. But reassuringly for the hotel industry, which has long complained that the peer-to-peer accommodation platform is not subject to the same regulations, a growing number of national and state governments are imposing restrictions on Airbnb and similar moves are afoot in Perth and New South Wales. A significant proportion of tourists and business travellers can be found in the East Coast metro areas, mainly Melbourne and Sydney. However, property prices in the country’s two biggest cities are comparatively high. Property prices are more affordable in the country’s next three biggest cities: Brisbane, Perth and Adelaide. Proximity to Byron Bay and other beach locations is a big attraction for hoteliers, while more remote hotels can thrive if they’re near tourist hotspots like Alice Springs. Find out the thoughts of Dave Allan, who recently bought The Rose Hotel, a 150-year-old institution in the heart of Bunbury, WA, on picking the right location. The right time to buy a hotel? It might be a good time to check out our hotels for sale – at the time of writing – with reports suggesting that the industry hasn’t seen such high growth rates since the Sydney Olympics in 2000. Then again, the sector’s success is spurring hotel construction at more than twice its long-term average growth rate, potentially suppressing room rates, according to Deloitte Access Economics. Perhaps you already own a hotel – in which case these factors will weigh on your decision to sell your business. Hospitality experience. Previous experience is helpful in many sectors, essential in others. Hotels arguably belong in the latter category. At the very least, experience in other hospitality businesses – running conferences or restaurants for example – is advisable, while hotel experience is obviously even more relevant. The more senior your experience, the better. General business acumen. The hotel trade is constantly buffeted by external factors beyond operators’ control like weather, exchange rates and the health of the global economy. Therefore you need the commercial skills to constantly re-evaluate your business model, in particular prices, facilities and marketing strategy. People management skills. Finding and keeping high-quality staff will be critical to your success – and in keeping you from burning out. Experience in hiring people and the fundamentals of people management are recommended. Be prepared for hard graft. The hotel industry is not an easy one – especially when you’re inexperienced. It’s hard work with long hours and weekends involved for hands-on operators, but the reward can be happy customers and great reviews. Multitasking and delegation. 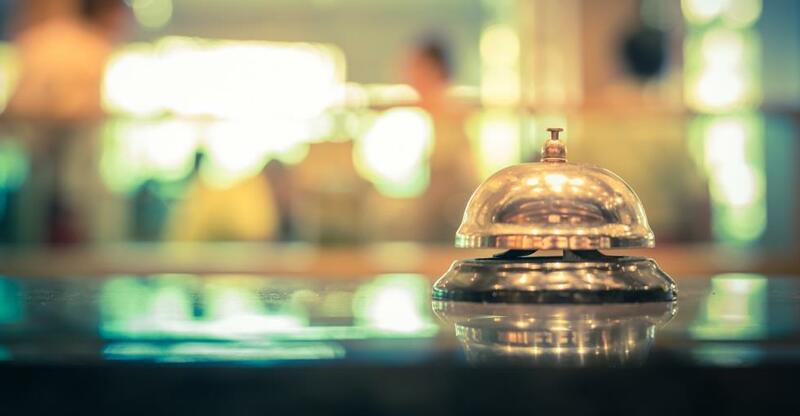 From angry guests at the front desk to an unexpected staff shortage in the kitchen, there’s usually a lot going on – and sometimes going wrong – in a hotel at any one time. Under pressure, you need to multitask, quickly identify and prioritise problems and delegate accordingly. The hotel trade in Australia is lucrative if you have the capital and drive to make it work. If you think you have what it takes then read our guide on how to buy a hotel.